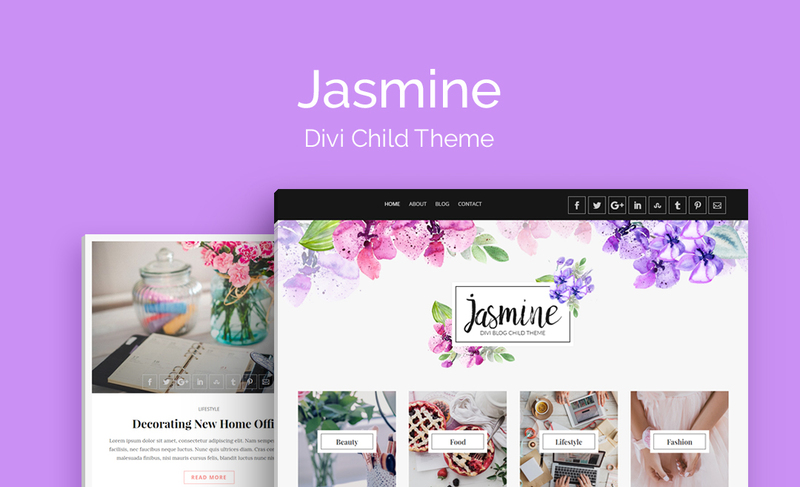 Designed for bloggers looking to start sharing their original content, Jasmine is a beautifully designed Divi child theme with a fabulously feminine look and feel. Including a number of content-driven elements, Jasmine ships with a fully developed blog feature, detailed sidebar, newsletter sign up page and a plethora of social share icons to satisfy the share preferences of just about any site viewer. 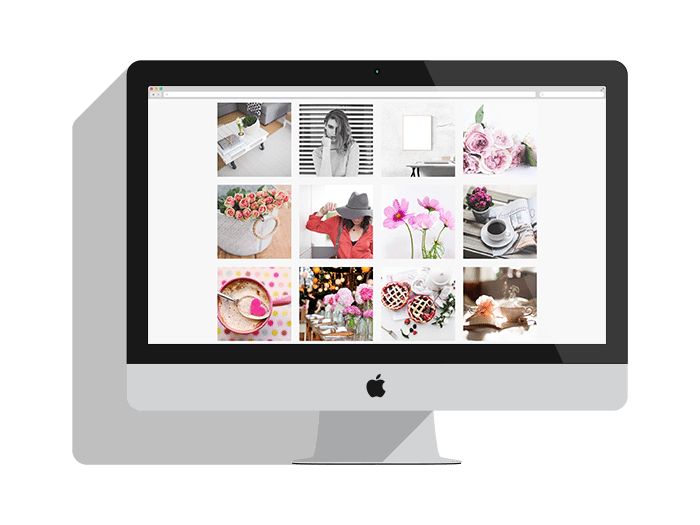 Jasmine includes a range of premium features including a login customizer, a 404 error page template, as well as the Aspen Footer Editor plugin. 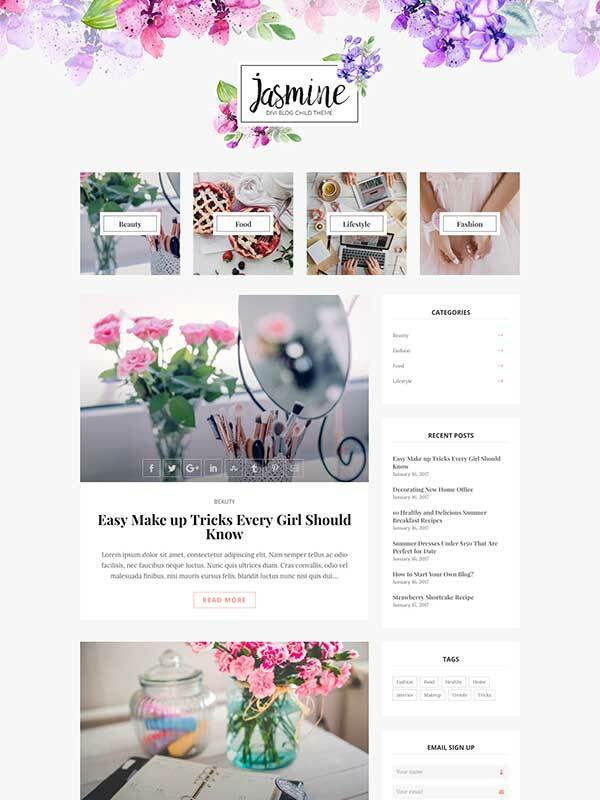 Next, the Jasmine Divi child theme makes it easy for bloggers to communicate their core blogging content types by using beautiful call-to-action modules that link to popular categories. Not only does this help bloggers to communicate their blog content to readers quickly, but too, it aids with SEO searchability. Then, Jasmine includes a detailed sidebar, complete with a recent post feature, categories and tags section, and a newsletter sign-up form to help grow an email following. Jasmine includes demo imagery sourced via Unsplash and is free to use in accordance with the Creative Commons Zero license.